As you know if you read my blog I’ve been lately taking pictures in the US. I’ve been around in Los Angeles, Death Valley, Joshua Tree National Park and other beautiful places in California. If you like to buy fine art photography from emerging photographers you can visit the California pictures section in my wall art shop and buy a print or a poster that could be valued a fortune in the next few years :-). You can find some beautiful sunset or sunrise I’ve photographed in my two weeks trip or some street photography pictures I’ve taken in Venice Beach or in some landmarks in Los Angeles. Not only that, I’ve been taking pictures of landscapes, seascapes and cityscapes in the beautiful Malibu, Santa Barbara, Joshua Tree national park, Death Valley and obviously LA. All my pictures are released under Creative Commons license so you can use them for free as long as you give me credit and a link to my website. I hope you enjoy and if you do please support my work buying a print. I’m also available for photoshoot so if you want to hire me or have more information about my pictures get in contact. You can also check my california landscape art for sale on FineArtAmerica. A few weeks ago I’ve been on holiday in Death Valley, one of the most popular places among photographers. I now understand why! 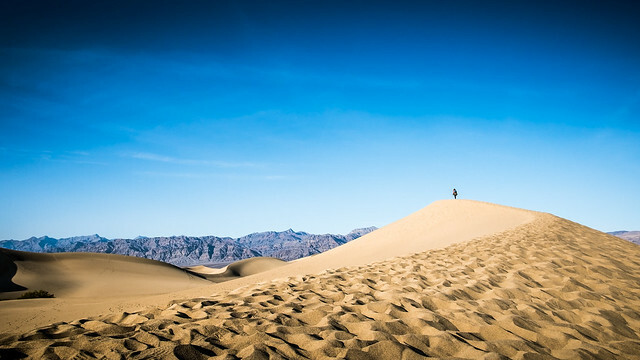 Death Valley is a fantastic area for taking photographs. I thought it could be boring with all that sand and desert but there are so many different areas and views, you can’t really get annoyed and miss some beautiful shots. 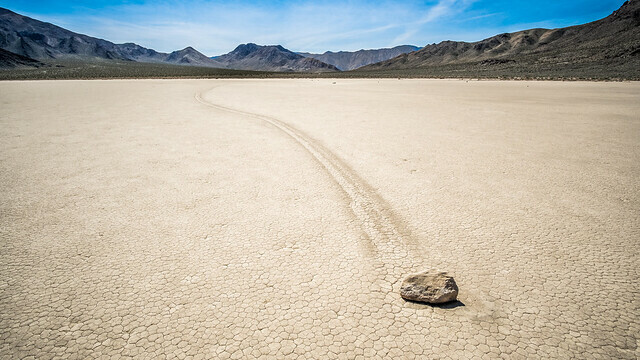 One of the places I’ve liked the most in Death Valley is Racetrack, a peaceful valley where you can see a unique natural phenomenon: the moving stones. Nothing fancy here because you can’t really see rocks moving in front of you but you can follow the trails that will point you to the closest rock that the wind moved somewhere else during the night when the surface gets iced. As the area is full of rocks and lines you want to bring with you an ultra wide lens to emphasize the foreground and the leading line created by the rock. You can see an example of what I’m talking about below. I shot this picture with a Fuji X-T10 and a Rokinon 12mm lens. As you can see the result is a unique frame which will leave the viewer curious and shocked at the same time. To reach racetrack be sure to have a 4×4 car. I rented a Toyota Rav4 which served me very well! You can find the exact location of this place in the map below. Another beautiful spot in Death Valley you don’t want to miss is Zabriskie Point. This is another unique place where you can admire some fantastic cliffs the nature has designed. I’ve never seen something similar and I can assure you that being there (and in Racetrack) is something you want to experience at least once in your life. You can see a picture I took in Zabriskie point below. Luckily there was a badass guy looking at the cliffs which add a sense of scale in the shot. I’ve merged five different shots to make a panorama. I suggest you to bring a wide angle lens. You really want to capture the beauty of this fantastic place. I’ve used an 18mm fuji lens to take the pictures and Lightroom to make a pano. To be sure to reach the location I’ll leave you the exact location of this place which is one of the most popular spots in Death Valley. Finally I really enjoyed Mesquite Sand Dunes. Here you can really feel the desert. Leave the car at the parking lot and have fun walking (and running like a crazy baby) on the dunes. It could be tough to hike here but you won’t forget this place. Colors are amazing but the sand is particularly nice when the sun is low. The golden color of the dunes is even better when the light is soft and the shadows are long and nice. The blue of the sky then gives a fantastic contrast to the pictures. You can see a picture I’ve taken in this beautiful place below. I’ve used the 18mm fuji lens here which is my walkaround and favorite lens. Check the location of this area in the map below. If you want to really experience Death Valley be sure to stay there for at least two or three days. I’ve spent a day in the valley and another one in Racetrack which is a difficult place to reach. Bring with you a lot of water and comfortable clothes. I’ve been there in March and the temperature was about 20/25 celsius degrees. I hope you’ll find these tips useful. If you think I’ve missed something please leave a comment below to make this article better. You can also check my death valley art for sale on FineArtAmerica. 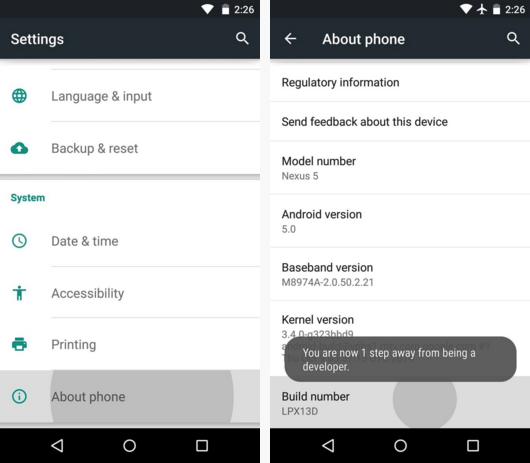 Android is a great mobile OS but there is room for improvements if you know how to tune the system. It ships with some default configurations that you can change to make it faster. First of all you need to enable the developer options. There is a trick that will allow you to enable this hidden menu. Tap on Settings and then on About phone. Scroll to Build number and tap on it seven times. Go back to Settings and tap on the new Developer options menu. Scroll to Window animation scale. It is set on 1x by default. We want to change all the values in Window animation scale, Transition animation scale and Animator duration scale to 0.5x. This will make the animations snappier. You can see the effects of this change immediately. In Developer options we also have the option to limit the number of processes the system will keep in background. This is very handy if you have a phone with limited RAM or a phone that you feel is not fast enough. Scroll at the end of the Developer options settings until you see a Background process limit option. Change the value to 4 processes at most. This should be enough. 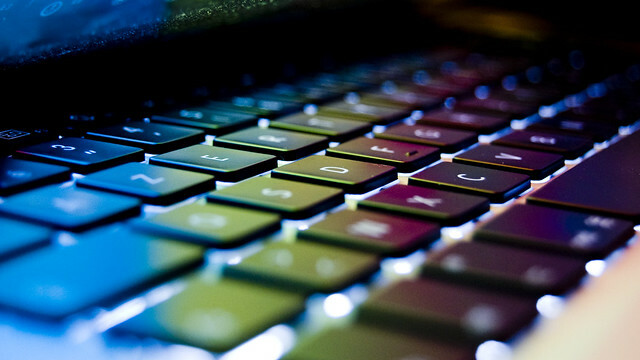 You can try less processes but some applications could crash after that so be aware of it. Try to avoid too many widgets. Every widget you put on your home screen will use your device RAM and CPU. They will also use more data so try to avoid to use the ones you don’t really need. Don’t use a live wallpaper: live wallpapers demand more system resources than standard ones. Some Android phones manufacturers like to customize launchers. If you don’t use a Nexus phone, especially if you have a Samsung phone, try a different launcher. Nova launcher, for instance, could save a lot of resources and make your phone faster. 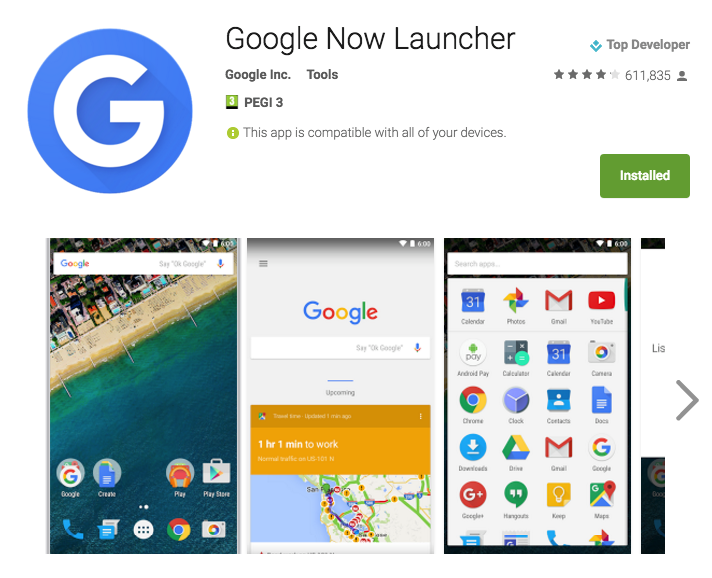 There are a lot of alternatives on the Play store so you can also try something different and pick your preferred launcher. I personally use Google launcher on my Sony Xperia Z5. Finally install Clean Master. It’s one of the most popular Android optimization apps. It will help you to clean the cache and the ram of your system. It will also hibernate apps that drain your battery if you want. Applecare support: does Apple really care? Posted on January 13, 2016 | 2 Comments on Applecare support: does Apple really care? So I’ve bought a Macbook pro 13” in September 2015. Since then I’ve been having issues with the internal keyboard and the trackpad which don’t work randomly. I’ve tried everything: SMC reset, PRAM reset, os reinstallation with no luck. Now you’re thinking that the machine is under warranty. Yes it is and this is what happened: I went to a Genius Bar in Rome and they told me that must be an hardware issue and I had to leave the laptop there for a repair. Unfortunately I needed the laptop and they don’t provide a temporary replacement so I decided to pass and try to call Apple. I’ve also opened a thread on the Apple forum but nobody replied. There must be something wrong with the controller I guess anyway I’m not sure now how the Apple support could help me. I’ve bought a very expensive machine to be sure to have a stable laptop and a good customer support but what I’ve now? I’m stuck with a defective machine that is useless if the keyboard doesn’t work. What are my options at this point? I could buy another Macbook and try to check for a repair centre again hoping that they will be able to replicate the error and fix the laptop. Is this the support I get? Do I have to spend more money to have a laptop fixed? The sad thing is that there are a lot of people with the same problem! Have you ever had a similar experience? Do you think that the Apple customer support is the best on the planet? I honestly don’t. 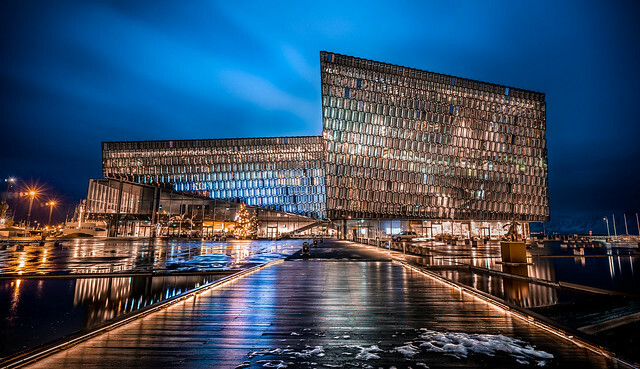 As I wrote in my last post I was invited by Promote Iceland to join a blog tour in their beautiful country. The whole experience was fantastic; I met very nice people and visited interesting places. Obviously I also had the chance to take some pictures and here is tip number 1: if you go to Iceland during winter plan your trip meticulously. The sunrise is at almost 11am and the sunset at almost 3,30pm. It leaves you with just 4/5 hours of light and if you want to travel you really have to plan your trip to be in the right place at the right time. Also, the weather is often bad. I couldn’t take pictures of Gulfoss, a fantastic waterfall, because the wind was very strong and the snow was falling so hard I couldn’t even almost visit the place. Tip number 2: winter is nice in Iceland and the Christmas time allows you to see markets and beautiful lights but if you want to take pictures I guess that spring or summer are a better choice. You’ll get more light and in the summer sunrise and sunset will be very slow. You’ll get not one or two golden hours but more and the weather will be generally warmer. During winter though, it’s easier to see the Aurora Borealis. Unfortunately in the 4 days I was there the sky wasn’t clear so I couldn’t experience the Northern lights. Tip number 3: bring a tripod. 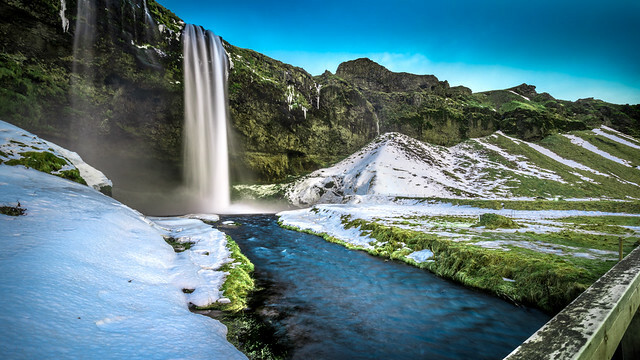 Iceland is full of waterfalls, lakes and cliffs so you can use an ND filter or take pictures during sunsets and sunrises keeping the shutter slow to capture the water in motion. 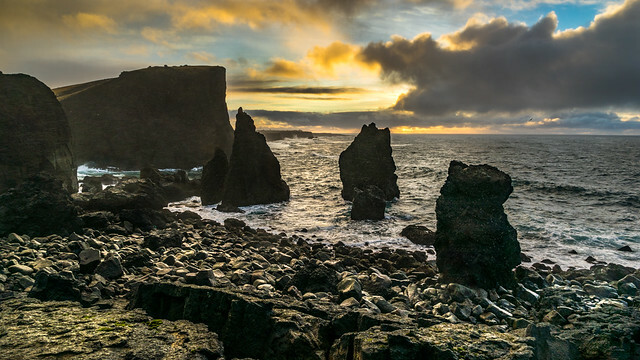 Tip number 4: visit the very south/west of Iceland. It’s not a very popular area but landscapes there are fantastic, it seems to be on a different planet and the coast is wild and beautiful. The followings are two shots I took there. You can check the gps data on Flickr to see the exact position of these spots. 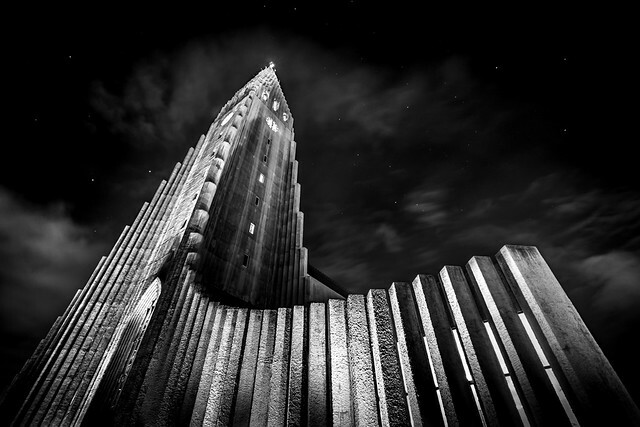 Tip number 5: if you like architecture Reykjavik has plenty of beautiful buildings and monuments you could visit and photograph. You can find some good opportunities also all around the country. 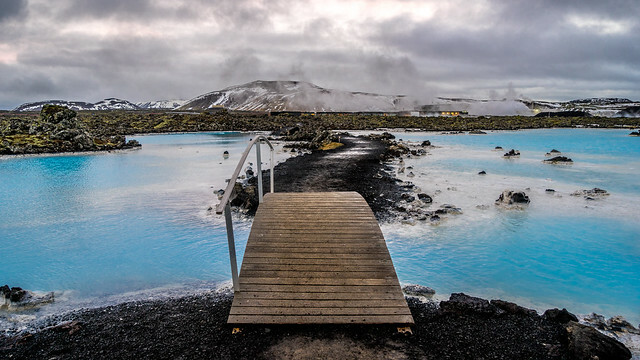 Tip number 6: go to the Blue Lagoon! It was one of the best experiences in my life. 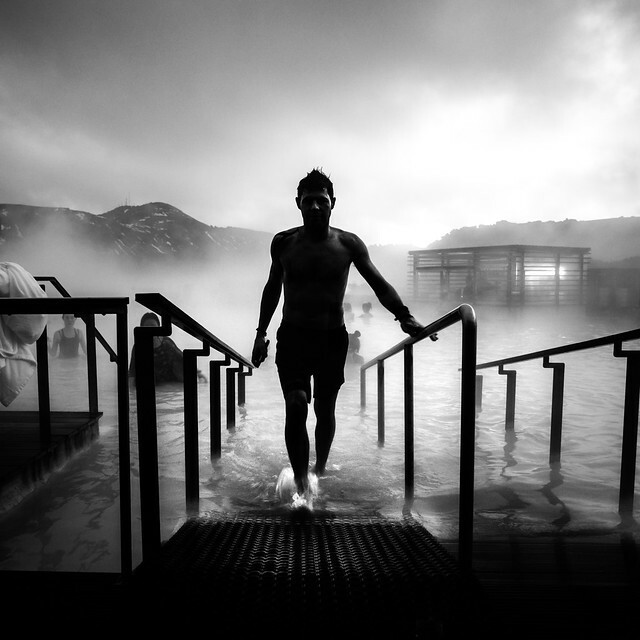 Not only you can take beautiful pictures but you can relax in the hot pool and have a drink staring, incredulously, at the snow on the side. Tip number 7: winter in Iceland is very good for astrophotography. When the sky is clear there is not much light pollution and you can see the stars clearly. Be prepared to wear heavy clothes though because temperatures are low and during the night is even worse. So that’s it guys. I’ve really enjoyed my time in Iceland and I’ll definitely go back on my own to take some nice landscape or seascape photos. These were my tips based on my experience. If you want to add some information please do it in the comments below. You can also check my Iceland landscape art for sale on FineArtAmerica. 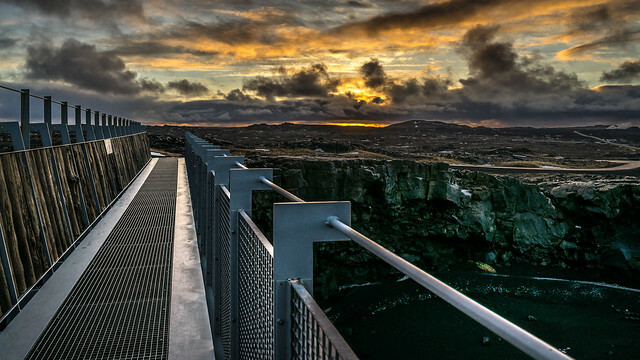 Tomorrow I’ll fly to Reykjavik to join a blog tour organized by Promote Iceland. I’ll be there until the 18th and I’m pretty sure I’ll have fun taking pictures of amazing places and people. As I’m packing for the trip I want to show what’s in the backpack I’ll carry around in the next few days. First of all my backpack: Manfrotto Active Backpack I. It’s a small, compact and lightweight bag which I’ve found being very handy. It is also water repellant and it accommodates a laptop, a camera, a tripod and 2 or 3 lenses. In the picture you can’t see my MacBook pro that I’ll bring to backup pictures and to edit some when I’m around. I’ll obviously bring my camera, a Sony A7, which I’ve been using for almost 2 years now. What about lenses? Well I’ll bring my two travel zooms: the Sony FE 16-35 f4 and the Sony FE 24-70 f4 which are weather sealed and allow me to easily cover a wide range of focal lengths. They are also stabilized lenses so I can shoot with pretty slow shutter speed if it will be dark and I don’t want to push up the ISO. Finally I’ll bring the Sony FE 55 1.8 for details, food photography (which I’ll need to do a lot), and night shots. Since light will be an optional (sunrise will be at 11.15 am and sunset at 3.30 PM) I must bring my tripod a Manfrotto befree carbon fiber. Because it will be very cold I also need gloves which can allow me to operate the camera and keep my hands warm: I’ve chosen the Trespass Crossover which I’ve never used. I hope they won’t be a failure ’cause I really need warm hands to take good pictures :-). I guess I’ll also bring my Sony RX100M3 as a backup camera, just in case. So that’s it guys. I hope you enjoyed this post. I’ve linked all my gear to the amazon website so if you want more information or want to buy some stuff I’ll get a small commission. Thanks for your support. Since 2013 I’ve been taking pictures all around the world. I post a picture on social media and on my website every day and I now have a big archive of images that everybody can use for free. The same images are also for sale on my fine art photography gallery if you like to hang them in your house or shop. If you choose to buy one print you’ll be ordering from the Fine Art America website which is one of the most popular and trusted prints’ shops in the world. All the pictures are available in different sizes and formats: you can choose to buy them framed, on canvas or just the print on premium paper, metal or acrylic. If you like posters you can even make one from the images I’ve created. The printing and shipment process is managed by Fine Art America to high quality standards. 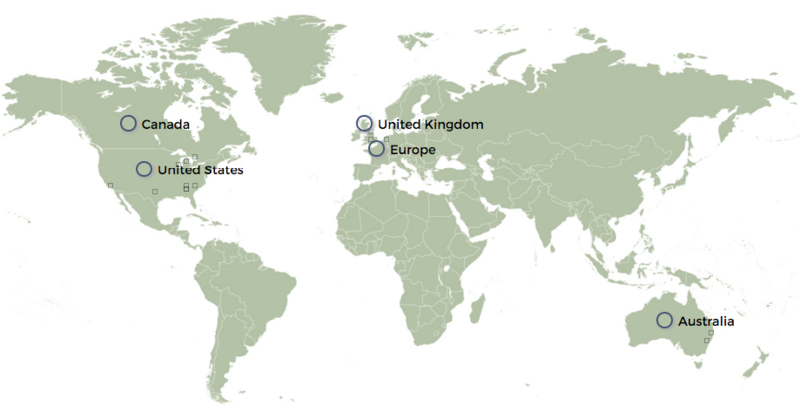 The products are shipped from many locations in Europe, Australia and United States so you’ll always receive your order in a few days. Sometimes Fine Art America allows me to apply discounts to my art so subscribe to my newsletter if you want to be notified about offers. If you like to have more information about my fine art photography please feel free to contact me. Visit the gallery now to check out all the latest pictures I’ve taken. If you haven’t already noticed all the pictures I publish on my website are released under Creative Commons license. It means that you can download and use it for free as long as you give me credit and link my website. To help you get every single picture I added a button to let you download the file in various sizes. The bigger size you can pick is 2048px: it is good if you need to use an image on your blog, website or if you need to make small prints. To get a picture at an higher resolution you can contact me and let me know what your needs are. Check all the pictures available for free in my gallery. If you otherwise want to support me, you can buy a print clicking on the “buy print” button which you can find when clicking on every image. Finally you can check out my street photography project “Faceless” and buy the book if you like it. Here is some examples of websites using my images. Since I’ve released my project Faceless and published a book on Blurb I’ve contacted some photography magazines to let them know about it. With my surprise I’ve been contacted back by some of them to publish an interview on their websites. I’ve never been interviewed so I really don’t know if I’ve nailed it! You can check both the interviews on Dpreview by Allison Johnson and on The Phoblographer by Chris Gampat. Let me know what you think about it. If you like to have more information about the project and the book just visit the project’s dedicated page. Thanks for your support.